Atlanta native Lilibird Pichardo, MD, has provided caring and compassionate health care to women of all ages and ethnicities in the Fayetteville, Georgia, area for several years. She’s particularly adept at serving the Hispanic/Latino community and is fluent in Spanish. 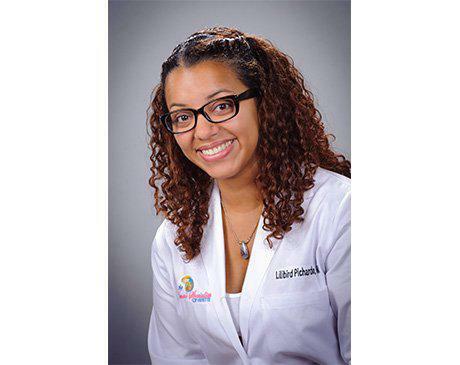 Dr. Pichardo first completed her undergraduate education at Emory University in Atlanta. She later attended medical school at the Morehouse School of Medicine, also in Atlanta, before completing her residency in obstetrics and gynecology at the Albert Einstein College of Medicine in New York. Afterward, she returned home to Georgia to continue her practice. Dr. Pichardo’s interests include high-risk obstetrics. She also specializes in the medical and surgical management of common gynecologic issues, minimally invasive gynecologic surgery, contraception, and family planning. In her practice, Dr. Pichardo focuses on caring for the whole woman, providing holistic health care to patients from adolescence, through pregnancies, and into the menopausal years. Dr. Pichardo encourages her patients to take an active interest in their health and is proud to be one of Fayetteville's top women’s health care specialists. When she isn't assisting patients, Dr. Pichardo enjoys spending time with her husband and her daughter. She also loves to travel, dine with friends, and explore the artistic and musical scene of Atlanta.